As a result of my analysis and recommendations, we implemented up to date digital marketing best practices. We redesigned the website and optimized all digital marketing components based on analytics. Now, her business is in a more visible and dynamically engaging light. 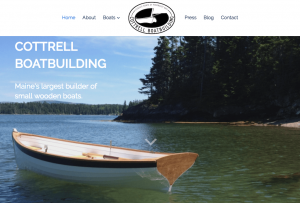 Lynn is co-owner of Cottrell Boatbuilding, Maine’s largest builder of small wooden boats. She contacted me in September 2017. This small business WordPress website redesign and digital marketing strategy were completed by November. In addition, we continue to work together to monitor and analyze website traffic, perform regular backups, and optimize content for search engine results with a content creation plan. Changed hosting to quality hosting company. 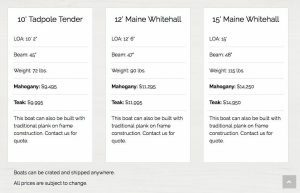 I redesigned this small business WordPress website with a new theme and made a child theme to write custom CSS and PHP. 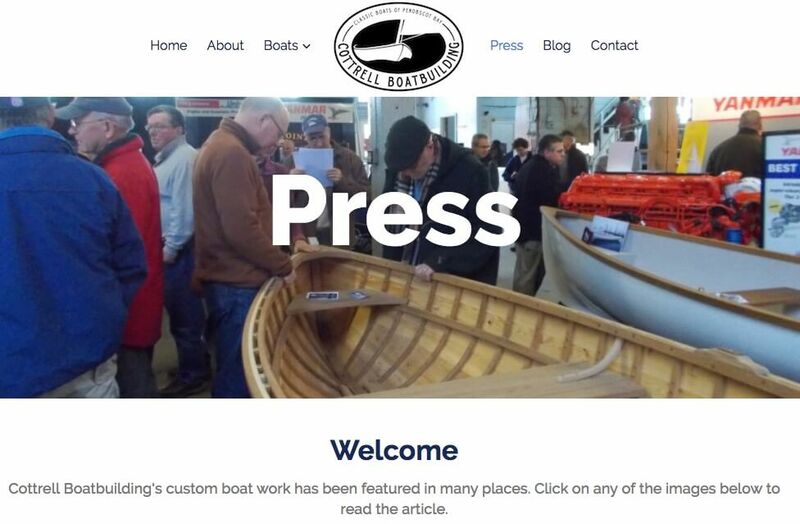 I also optimized the site for speed and mobile responsiveness. 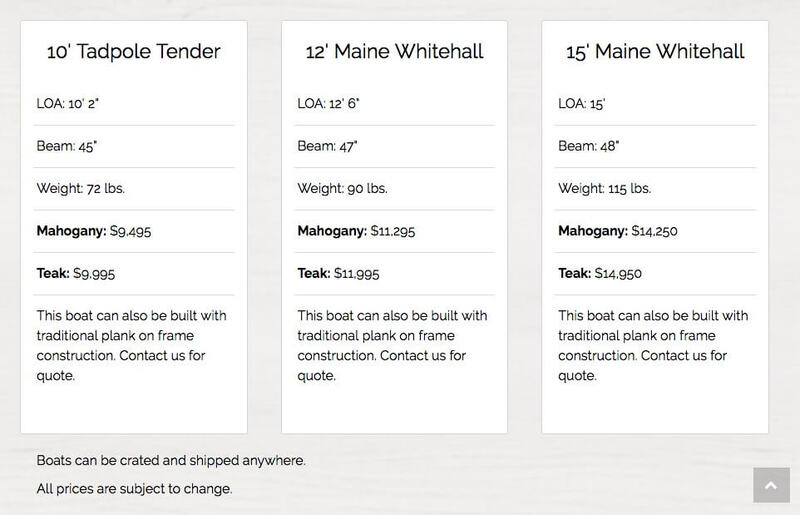 We implemented best practices for using images – resize, compress, complete alt tags. I setup caching pages and setup a content delivery network (CDN). 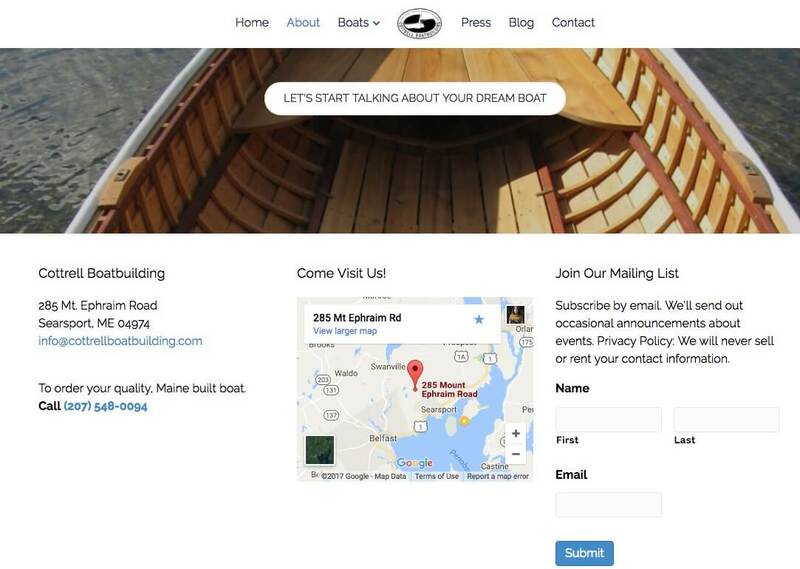 Reorganized content and sitemap in content silos which is vital to SEO. Provided effective but unobtrusive call to actions (CTAs). Reviewed, changed and setup the best combination of quality plug-ins. 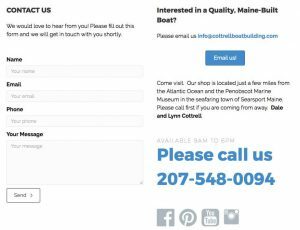 Contact details for local search and call to action in footer. The redesigned small business WordPress website enhanced the professional stature of Cottrell Boatbuilding. 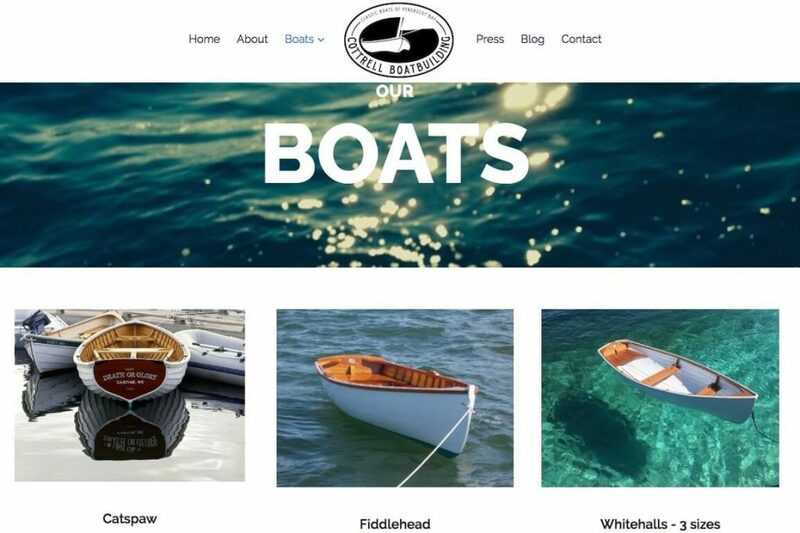 The user friendly navigation and engaging content provide quality customer experience. 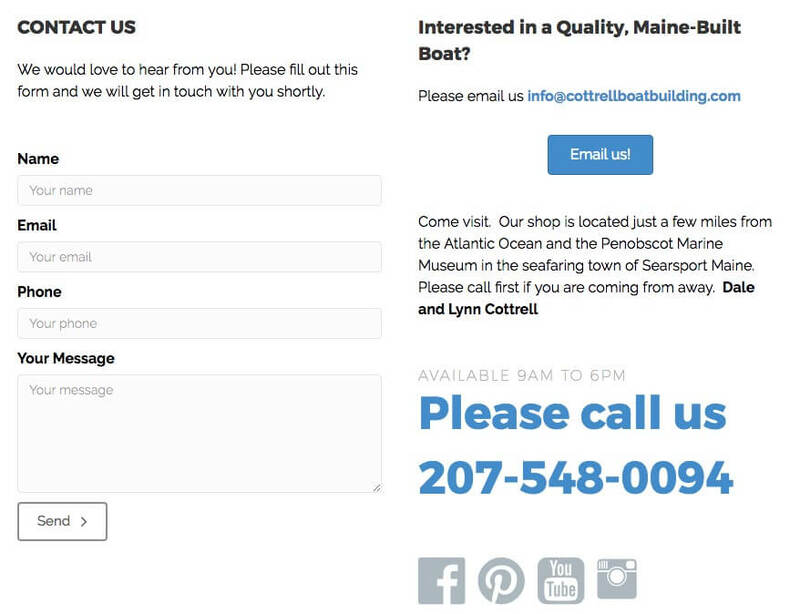 As a result, viewers have a clear path to get in touch and take the next steps with Cottrell Boatbuilding.